The Holiday Season is upon us! Are you ready? If you haven’t found the perfect gifts for everyone on your list, we’ve got you covered with some of this year’s most sought-after items. But first, to help you get a leg up on next year, we’ve got some great options to make sure you’ve got funds set aside to avoid the last-minute scramble! 1. For an easy way to dedicate money to your holiday expenses, consider our Holiday Club Savings Account! 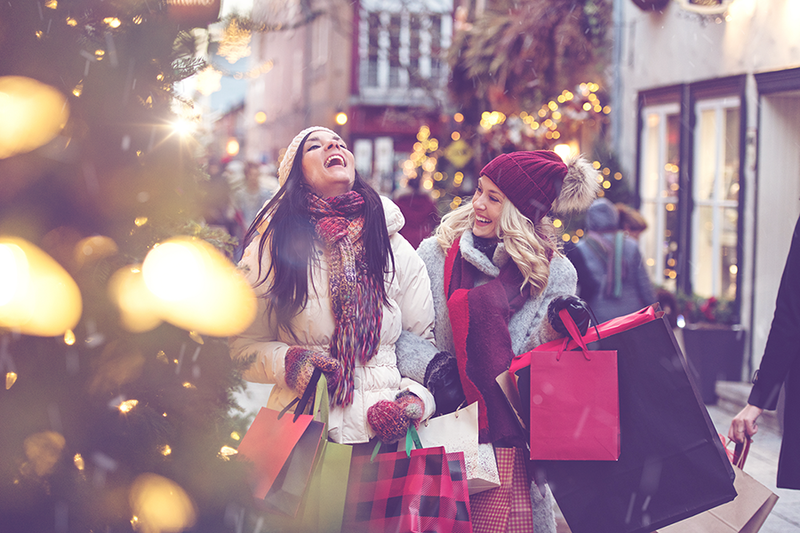 With access within Digital and Mobile Banking, competitive rates of return, and automatic transfer to the account of your choice on November 1, it makes saving for the holidays a breeze! *Annual Percentage Yield. 1 Minimum $500 to open and only available in a 5-month term. Subject to early withdrawal penalty. Dividends will be paid monthly. Upon maturity, CD will renew into a standard 6-month certificate. Rates effective as of November 1, 2018 and valid through December 14, 2018. Offer expires December 14, 2018. Federally insured by NCUA. 2 Interest begins to accrue at the time of disbursement. All loan subject to approval. Rates and terms may vary based on credit worthiness of borrower. Member Advantage Program Current Discounts: eChecking & Advantage Plus Checking = 0.50%; Advantage Checking = 0.25%; Automatic monthly payment from Advia deposit account = 0.25%. Floor rates apply, and Member Advantage loan discount rewards not applicable to commercial loans, lines of credit, mortgage, home equity or Visa Credit Cards. 3 5% back valid for Visa Platinum with Advantage Points Credit Card purchases in select categories: Gas and Grocery up to $1,500 in combined purchases and up to $1,500 in combined Amazon purchases 4/1-12/31/2018. Any purchase amount that exceeds $1,500 in either category will earn the standard 1% back. Amazon purchases exclude subscription and subsidiary services including but not limited to: Amazon Prime Membership Renewal, Audible, Amazon Pantry, and Kindle. Grocery purchases exclude wholesale retailers.